Has anyone else noted the disproportionate rise in the “hero” supply? Seems like we currently have a bumper crop. Has the population suddenly become more courageous? Are we more “heroic” than we were just a few years ago? Not to rain on anyone’s parade, but…I recently heard one time too many the people killed at the World Trade Center on 9/11 collectively referred to as “fallen heroes.” Excuse me? “Heroes?” Precisely what was heroic about simply being in the wrong place at the wrong time? While by no means attempting to mitigate the heinous nature of the attack (nor the horrendous loss that resulted), the question must be asked: Were these people heroes? In a society that’s become increasingly obsessed with anointing heroes, we’ve lowered the bar. We now proclaim as “heroes” many that would not traditionally have been deemed worthy of the mantle. In a way, this is reflective of other segments of society; for example, recall the vignette from a popular movie wherein we hear the remark alluding to a marginally-athletic boy having garnered a collection of ninth-place ribbons and other “feel-good” awards. While such well-intentioned efforts may do wonders for a child’s self-esteem (though there’s doubt about that, now, as well), it also has the practical effect of diminishing the achievements of those who do deserve recognition. Did they discharge their duties faithfully? Yes. Did they “give a good account” of themselves? Certainly. Are they deserving of our thanks for a job well done? By all means. Should we acknowledge and reward their efforts? Absolutely. That said, however, they are not all implicitly heroes. Rarely can one truly justify the designation “hero” for each and every member of an organization. There are certainly some genuine heroes among them, of course, and they deserve that extra measure of recognition—recognition that’s effectively denied them by wrongly affording everyone else the same status. In short, we’ve always drawn distinctions between degrees and levels of achievement, dedication, and valor; blurring those lines gains us nothing—and costs us plenty. If your car skids off a lonely stretch of road and ends up in a ditch, is the (increasingly rare, granted) guy who stops to help you a hero? No. A nice guy, certainly, and a fine human being. A Good Samaritan. But…not a hero. Okay, now, let’s say that after your car landed in the aforementioned ditch, you were trapped inside. And you’re slowly freezing to death. Now, your Good Samaritan becomes something of a hero; though the net cost to him was the mere expenditure of his time–and his risk minimal–he has nonetheless pulled you out of a tight spot. Your rescuer would be rightly credited with saving your skin, and certainly deserving of the accolades he’d receive. Now, let’s say that you’re trapped in your car and it’s caught fire. You’re in very real danger of being burnt to a crisp, and it’s quite possible that the fire will ignite your car’s fuel tank—with obvious results. Your Good Samaritan braves the flames and ignores the risk of explosion to extricate you from certain death. Not only did he save your neck, he did so with selfless disregard for his own safety. He laid it on the line for you–a complete stranger–potentially sacrificing himself for no other reason than because he encountered someone in imminent peril. Now, that is a hero. Why are we so anxious to manufacture heroes? Is it because there are so few real heroes to go around? Are we so accustomed to mediocrity and the “I don’t want to get involved” mind-set that even the most meager effort looks heroic by comparison? Has the concept of sacrifice–be it one of life, security, wealth, or personal comfort–become so foreign to us that we eagerly latch onto any perceived facsimile of heroism to exalt? We used to think of others in terms of “He’s a stand-up guy,” or “She’s someone you can always count on,” or “He’s a solid citizen.” No heroics. None needed. We revered these simple yet admirable traits. And when the occasional hero appeared in our midst, we rightly sang his praises. We’ve heard countless comments over the years from World War II vets, for example, that went something like this: “I wasn’t a hero,” or “We weren’t heroes, just scared kids sent to do a tough job.” We appropriately recognized and rewarded such efforts (oh, and by the way…we really admired the modest, self-effacing manner)—while just as appropriately lauding the genuine heroics of those who did stand out. The plain truth is that not everyone is destined to be a hero, anyway. Admiral William F. “Bull” Halsey said it best: “There are no extraordinary men…just extraordinary circumstances that ordinary men are forced to deal with.” How many of us will live out our entire lives without ever being thrust into such circumstances? A true hero, after all, by definition stands apart from others as a result of having risen to the occasion when faced with an uncommon–extraordinary–situation. Our ordinary lives simply don’t present many such situations in which to acquit ourselves. It should be satisfying enough for most people to be known as the dependable neighbor that can be called upon for help at the worst of times, or as the “go-to guy” in the office. Lest it be forgotten, the extraordinary hero who courageously charged across a battlefield to attack an enemy machine gun emplacement did so with ammunition and grenades furnished via the very ordinary duties of a supply clerk—without whom there’d obviously have been no heroics to praise. Fate simply never placed the clerk on the battlefield; as we’ve seen, though, there’s no particular ignominy attached to not being a hero. Concentrate on leading a good life. Do exemplary work. Help out others where you can. If you do all this, we’ll notice—and speak highly of you. Just don’t expect too big a pat on the back for common acts of courtesy and kindness, nor for merely doing your job; undeserved praise is hollow, anyway. Should you be placed in extraordinary circumstances–and rise to the occasion–we’ll notice that, too. Then, we’ll call you a hero. 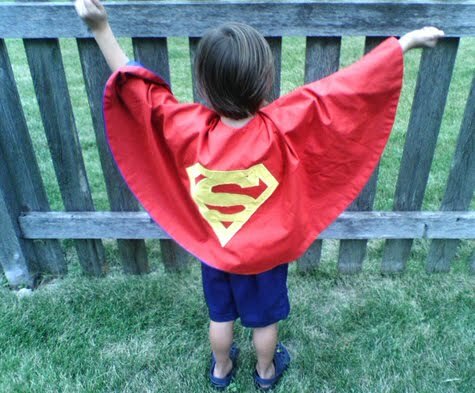 The next time you assist an elderly woman across a street like a good Scout…or stop and help someone who’s broken down on the road…take a moment and ask yourself: Does this make me a hero? A voice will answer from somewhere inside you.